“Bring the whole tithe into the storehouse, that there may be food in my house. Test me in this,’ says the LORD Almighty, ‘and see if I will not throw open the floodgates of heaven and pour out so much blessing that you will not have room enough for it’” (Malachi 3:10). I consider myself a generous person, but sometimes I’m hesitant to be fully generous. The kind of generous where the only way to fill the gap between what I’m comfortable giving and what I feel God calling me to give is sheer trust that I’m hearing God correctly. A million “what ifs” nag at my mind telling me to pull back my hand from offering too much. Other people can be that generous. Not me. Not with five kids—two still in college and two more heading that way. But then I clearly feel the tug to do what only makes sense if God Himself tells me to do it. Open my hand. Fill my world with trust. Bigger trust. Mighty trust. The kind of trust I know would please God. I was reminded of what this kind of trust looks like several years ago while running errands with my daughter, Hope. I was going through a fast-food drive-through that day when I realized I didn’t have enough cash on me to pay for the lunch I’d ordered for Hope and myself. I knew Hope, who had just celebrated her ninth birthday, had received a ten-dollar bill as a gift from her aunt. I asked Hope if I could borrow just a few dollars to make up for my shortage, and I promised I would pay her back. She refused, explaining that she was seeing some of her friends that afternoon and wanted to show them her ten-dollar bill. It just would not be the same to show them a five-dollar bill and a couple of ones. No, she insisted, she had to keep her ten-dollar bill for herself. As it was approaching my turn at the drive-through window, I got more aggressive with my offer. I told her I would not only give her the change from her original ten-dollar bill, which was going to be about seven dollars, but that I would also give her another ten-dollar bill later. Even this offer was not enough to release her tight grip on her beloved bill. She did not want a ten-dollar bill later because she might miss showing off to her friends today. Did my sweet daughter not realize that I had the ability to bless her with many ten-dollar bills? Did she not trust me? How it must disappoint God when we do this very same thing. Likewise, God has special knowledge in our lives. He has blessings for the radically obedient that make the dime-store stuff we are so intent on holding on to pale in comparison. The question is, do we trust Him? Do we trust that He will bless us? Do we trust that His blessings are infinitely better than what He might first ask us to release? Sacrificial giving is one of the few times God asks us to test Him. Yet so many times I’ve found myself unwilling, like Hope, to accept the challenge. I’ve been willing to tithe but not willing to go beyond what I felt comfortable giving. Leaving our comfort zone, however, is the very place God calls us to. He wants us to venture into truly abundant giving. He wants us to get out from under our own limited thoughts about money and accept His invitation to become radically obedient with what we own. Is it easy? No. But slowly I’m learning that living like I really trust God sometimes requires me to give up what was never really mine. Lord Jesus, help us to trust You more. 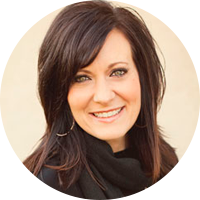 Lysa TerKeurst is a New York Times best-selling author and president of Proverbs 31 Ministries. Connect with Lysa on her blog, Twitter, Facebook and Pinterest.